HomeNews & EventsThivara Makes SLIIT Proud!! Awesome display Thivara, by being placed 07th in the world you’ve placed our institute in the finals yet again. Team Sri Lanka is now making its way to number one, driven by success and headed by our amazing Chef Kapila. They are further supported by Chef Suren, Chef Gayan and Chef Harsha, who happens to be our Alumni and the first ever Young Chef Olympiad contestant. 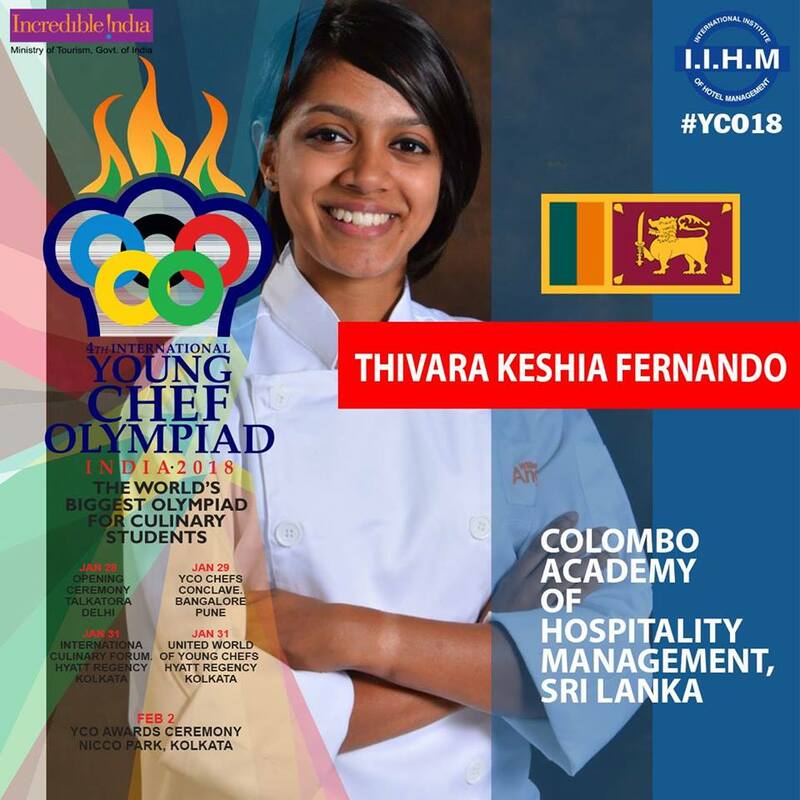 Heartiest congratulations to Thivara who has placed our nation on the culinary map, and was also ranked the Best Female Young Chef Olympiad 2018 !